By joining our LUNG FORCE Run/Walk and raising funds, you can help make a difference in lives that desperately need it. 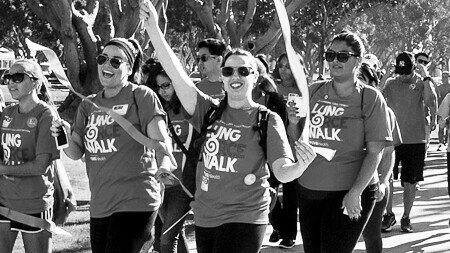 Now is the time to raise our voices against lung cancer—and for lung health. The Heart Walk is the American Heart Association’s premier event for raising funds to save lives from this country’s No. 1 and No. 5 killers – heart disease and stroke. Keep your eyes open for upcoming City happenings and events by frequently checking any of the calendars listed below. There’s something here for everyone. Oviedo Community Events – Events Held in Oviedo. The Winter Park Parks and Recreation Department offers a variety of programs, activities, and events for the residents of Winter Park. Our offerings range from senior water aerobics to pre-school dance classes so we are bound to have something for all ages and interests. Town of Windermere Community Events – Open to the Public and Private Events held in the Town of Windermere. Orlando Health Events – Events offered by Orlando Health! Advent Health News and Events – Advent Health News and Events!